Welcome to this new section in The GoldenEye Dossier. Through the last five decades that had James Bond as part of the popular culture and entertainment, the 007 fandom has made great achievements such as movie rescreenings, anniversary events, wrote novels and books, held TV interviews and published long lasting fanzines. Most of these groups of Bond aficionados were born around the 1950s and the 1970s, and among their preferences were Sean Connery as the best actor to portray Ian Fleming's spy, GOLDFINGER, THUNDERBALL or ON HER MAJESTY'S SECRET SERVICE as their favourite film, and Ursula Andress as their favourite Bond girl. 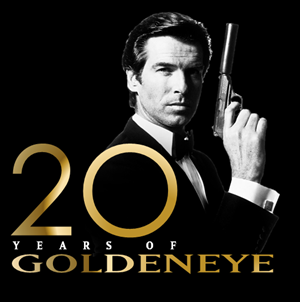 In 1995, James Bond returned after six years of absence and new tools were available to spread and keep the Bond flame alive troughout the world: video tapes, DVD, BluRay, Internet, YouTube, blogs and social networks. With GOLDENEYE, a new generation of Bond maniacs came to play in the field using these tools. 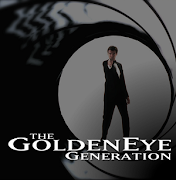 In The GoldenEye Generation, we are going to read about them: how these 1980 or 1990 boys see the world of James Bond, the past, present and future of Ian Fleming's secret agent. I'm going to start with myself. I'm Nicolás Suszczyk, editor of this site. I'm 26 and I was born in Buenos Aires, Argentina. I saw it on TV, in 1998. It was January 31st, so I was still seven years old. 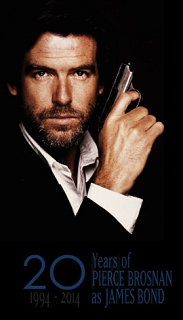 I was first hooked up on the game and then I was attracted by a billboard featuring Pierce Brosnan and his loyal handgun, in a black tuxedo. My dad told me who Bond was and I was interested. But as soon as I saw the gunbarrel sequence on that TV screen, I knew this was for me. 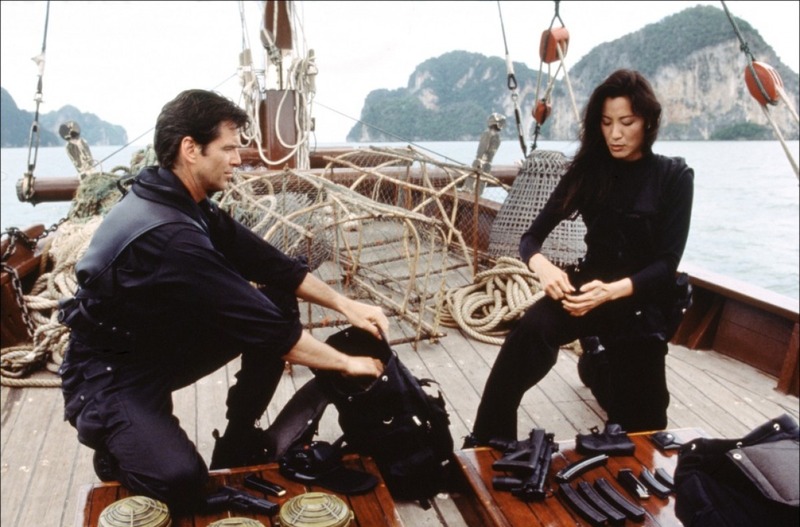 Weeks later, I watched TOMORROW NEVER DIES in the big screen. Absolutely! I think Pierce maybe wasn't Fleming's Bond, but he could adopt a part of each of the previous actors: Sean's presence, Roger's elegance and humor, the vulnerability of Dalton and Lazenby. I totally love his films and Pierce Brosnan was my James Bond. It is indeed. It's unique. 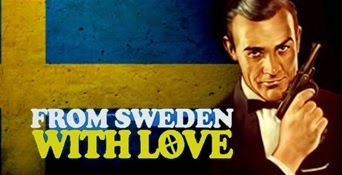 It has action, romance, fun, drama, a beautiful cinematography, a great international cast, and a perfect new James Bond. I totally loved the way they didn't hide the fact times have changed and how the protagonist and antagonist relationship is a key element of the plot and the establishment of a new world order. 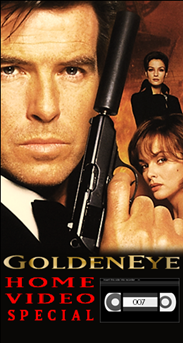 All the elements of GOLDENEYE, from the most praised -let's say the tank chase- and the most criticized -let's say Eric Serra's soundtrack- work perfectly syncronized to provide the post Cold War atmosphere of the film. This one has a very special place in my heart, just seeing the poster artwork has you craving for more. Too bad I wasn't a Bond fan when it was released. Well, there were many. FROM RUSSIA WITH LOVE is a fine Cold War thriller and THUNDERBALL is a colorful feast of action that I found boring in my first watch but I enjoy now. ON HER MAJESTY'S SECRET SERVICE is quite unique too because of its ski chase scenes with that memorable John Barry theme. To continue with the list I should add THE SPY WHO LOVED ME and MOONRAKER, very escapists both of them but enjoyable indeed. 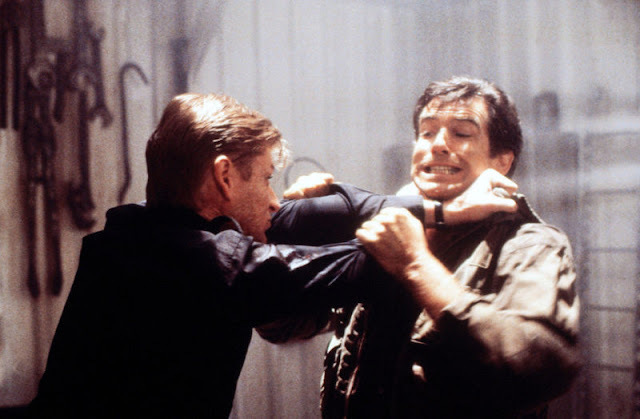 And the Dalton films were pretty good too, THE LIVING DAYLIGHTS more Fleming-like and LICENCE TO KILL more brutal and bitter, maybe way too Americanized, but it didn't lacked the Bond glamour. TOMORROW NEVER DIES and THE WORLD IS NOT ENOUGH are very special too. 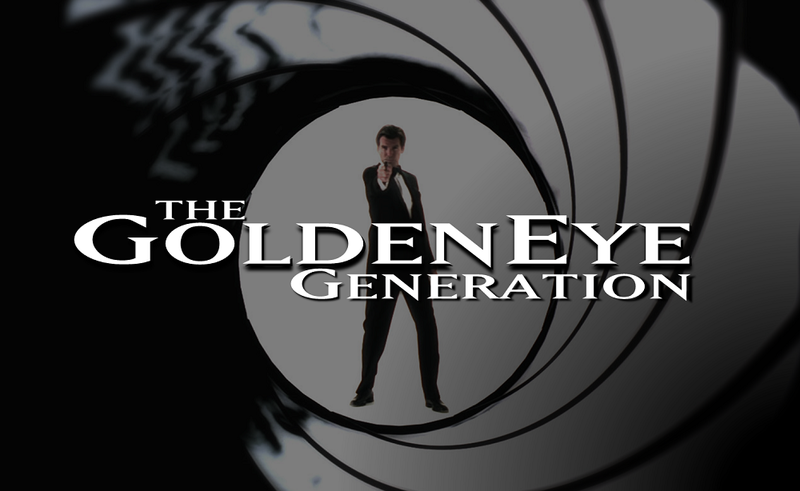 They haven't got GOLDENEYE's touch, but they provide great Bond moments, action scenes and dialogues. 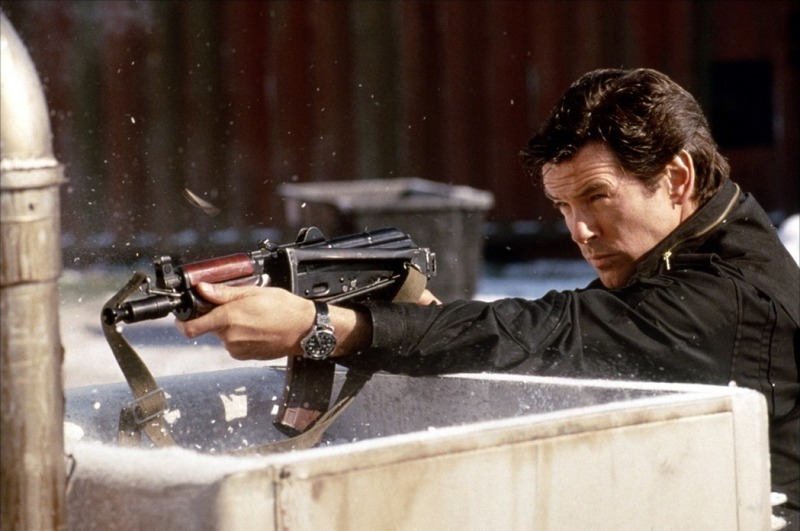 I'm not as nostalgic with DIE ANOTHER DAY, but I remember enjoying it very much during its release. I was sad to see Pierce go but I knew it was going to happen sooner or latter. I remember October 14, 2005, as a great day because with the announcement of the new James Bond CASINO ROYALE was starting production, and I loved the book so much that I was happy to see a faithful adaptation, finally. I never had anything against Craig, unlike others. What do you think of the Daniel Craig 007 movies and which one is the one you like most. They are great. A different side of Bond, closer to the novels than to the Broccoli-Saltzman universe. CASINO ROYALE was awesome and Martin Campbell showed he was born to direct Bond. QUANTUM OF SOLACE was a bit disappointing with that awful editing and script, and only saved by Roberto Scheaffer's cinematography, David Arnold's music and the pretty Gemma Arterton and some actors like Giancarlo Giannini and Jesper Christensen. SKYFALL and SPECTRE were both great adventures that brought back a bit of the old Bond we loved. My favourite? SPECTRE, indeed. I know CASINO ROYALE is hard to beat, but for me this one gave me the 007 I wanted to see in a long while!